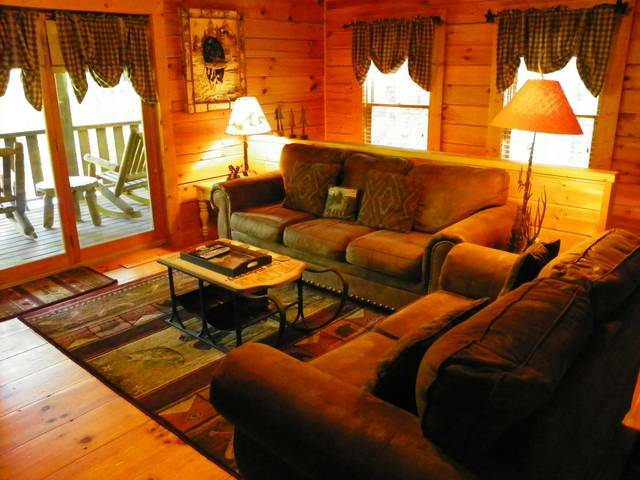 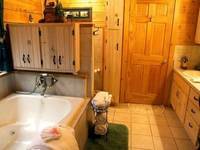 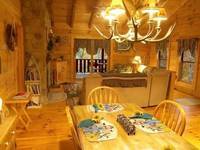 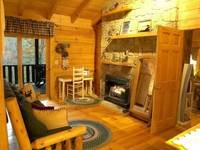 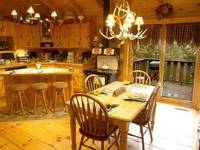 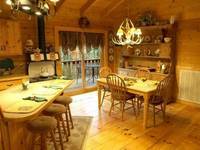 Always and Forever Cabin is perfect for a romantic weekend getaway or romantic honeymoon cabin! 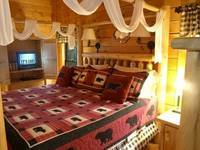 Ask about our Satin Sheet and Rose Petal turn down for your romantic getaway! 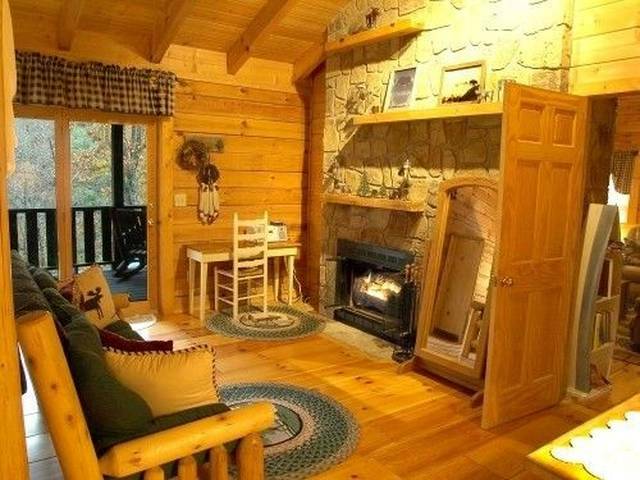 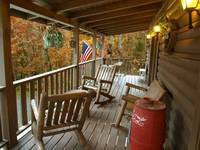 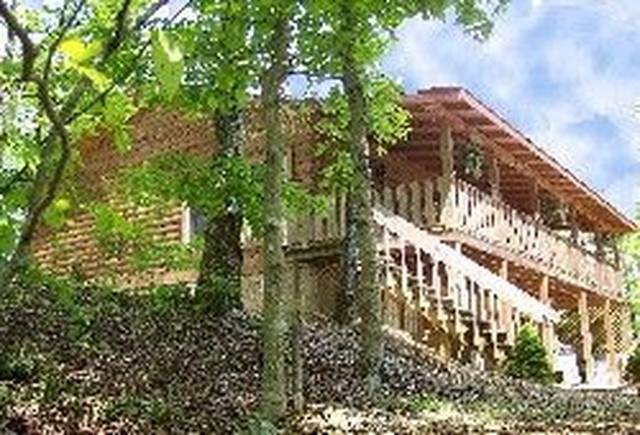 Always and Forever one bedroom log cabin is nestled on a private, 5 acre mountain ridge in the heart of The Great Smokey Mountains, minutes away from Pigeon Forge, Gatlinburg and Cades Cove and provides a secluded, peaceful setting that is perfect for your romantic honeymoon or romantic weekend getaway. 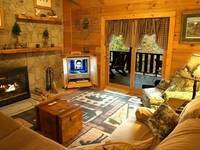 Always and Forever is gated giving you added privacy and security!!! 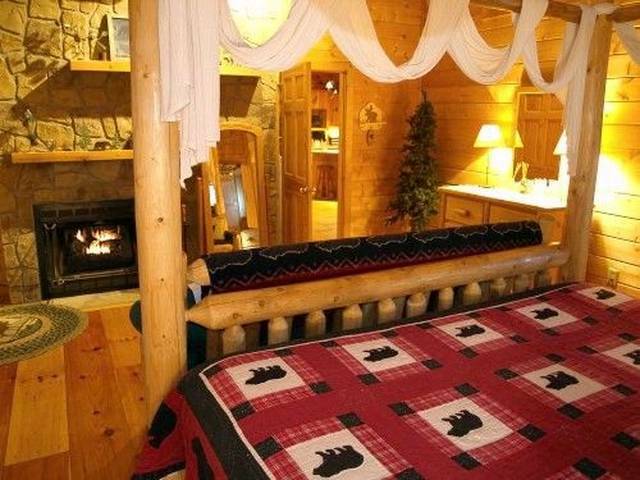 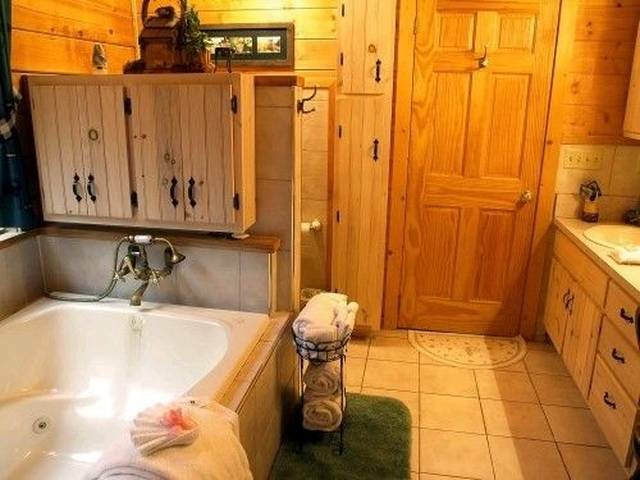 This custom built log cabin with over 1100 sq feet features two fireplaces (wood burning in the living room and electric in the bedroom, oversized king log canopy bed, Jacuzzi for two, custom walk in shower with aromatherapy steamer, rain fall shower head and 3 body sprays perfect for those steamy couples showers The spacious living area features a sofa and love seat, 45 inch HDTV with BluRay, and wood burning fireplace, great for snuggling on those cold winter nights. 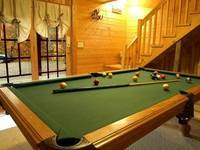 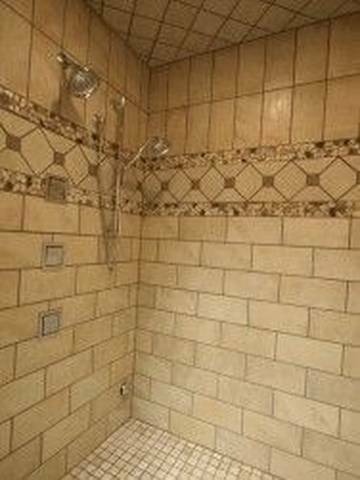 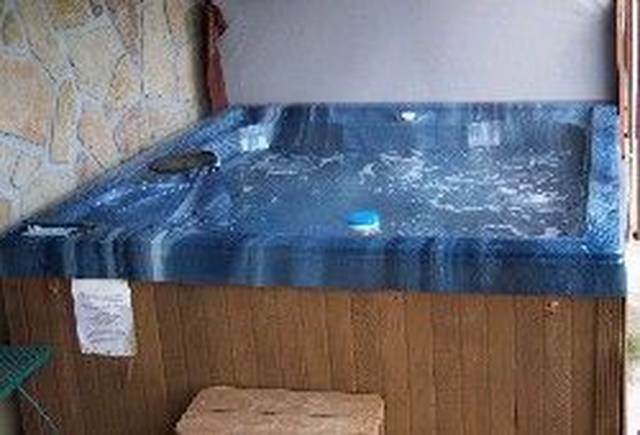 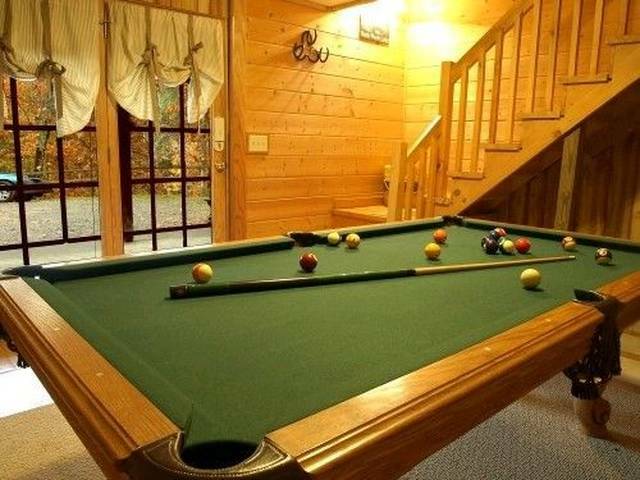 Additional amenities include a game room with pool table, washer/dryer, and a hot tub big enough for splashing around and guaranteed to soak all your cares away. Bring your laptop and enjoy free Internet access. Step back in time in the gourmet kitchen with custom handmade cabinets and Country Charm electric appliances. 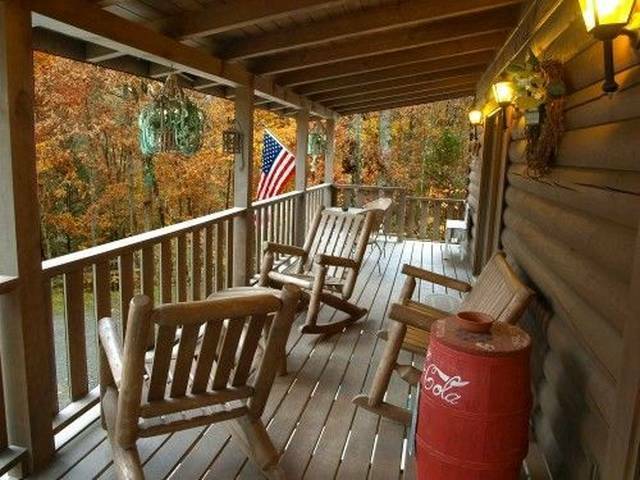 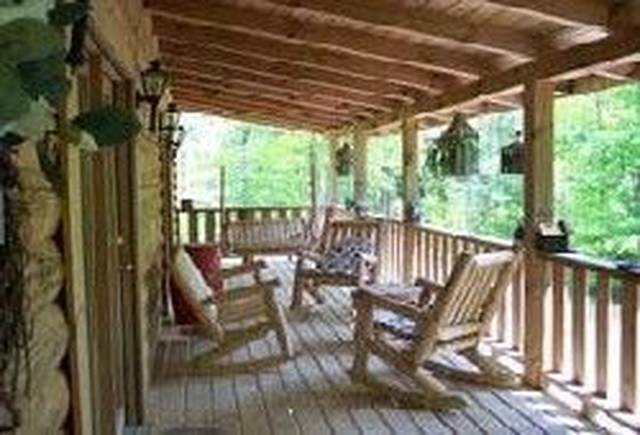 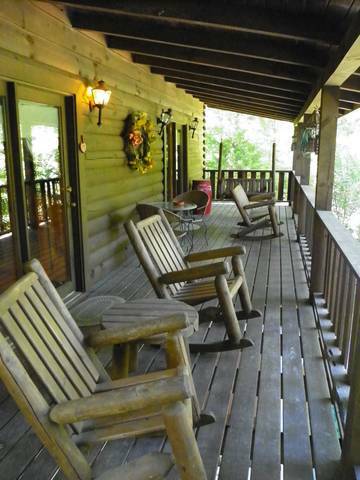 Enjoy nature at its finest on one of three porches and decks, all while listening to a gentle brook sing below. 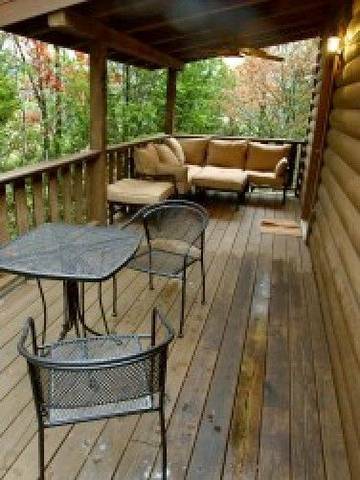 Grill a steak on your gas grill, relax in the swing then off to Pigeon Forge or Gatlinburg, your gateway to the Great Smoky Mountains National Park. 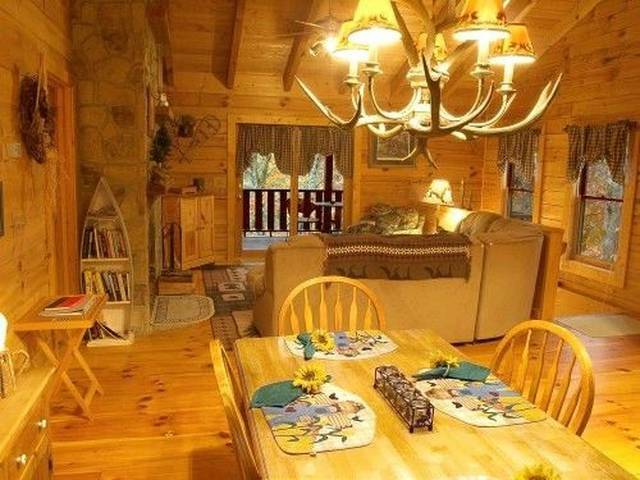 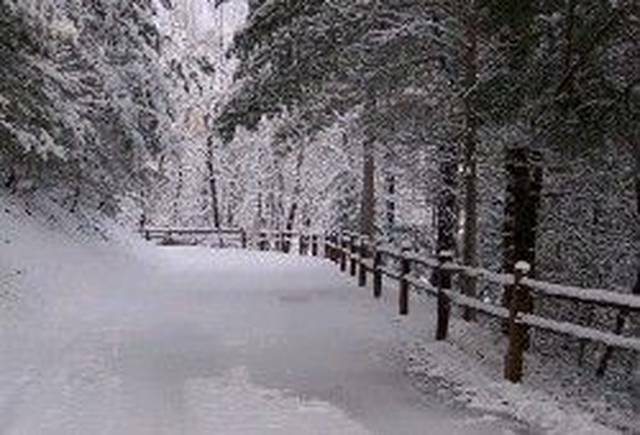 This awesome romantic vacation log cabin is available with nightly rates or as a 3 or 7 night honeymoon package with romantic gift baskets from IsThat4Me visit their web site today!!! 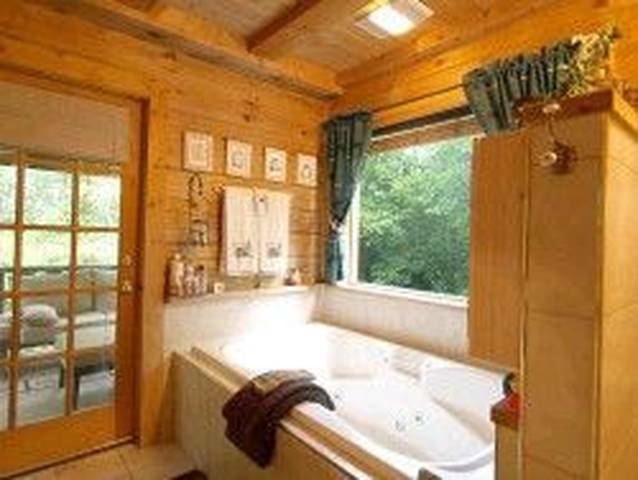 The 3 night package includes a Romantic Pleasures Spa basket featuring edible honeydusting powder with feather, chocolate body paint, sensual suds, chocolate massage oil, and other chocolate surprises, plus a Smoky Mountain Breakfast and a Trail of Roses. 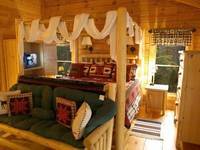 The 7 night package includes a Romantic Pleasures spa basket, a candlelight steak dinner with fresh flowers, a custom embroidered afghan with the couples names and wedding dates, plus a Smoky Mountain Breakfast and Trail of Roses . "Always and Forever Cabin Rental"